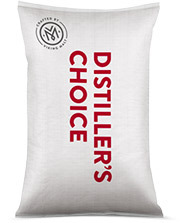 Pot still rye malt has gone through special steeping, germination and kilning programs to promote high enzyme activity to support good behavior during pot still process. Designed for rye pot still whisky process but may also be used in beer manufacturing. Designed for rye pot still whisky process but may also be used for brewing.